There is no bigger financial problem facing the American people than Medicare, and its shadow will fall on both seniors and younger taxpayers, because unlike Social Security, some of the astronomical cost of Medicare comes directly out of annual federal revenues. Medicare’s long term financial deficit is around $85 trillion dollars. Everyone agrees that the financial day of reckoning is just around the corner unless something is done to remedy the situation. Even Democratic President Barack Obama admitted as much. So, when folks like David Axelrod or even the President himslef suggest that the Romeny-Ryan will end Medicare as we know it, THAT IS THE IDEA! The president has done nothing to change our path from economic collapse when we are overtaken by our debt. At least Obama is gutting Medicare, even though he is dodging it. His Affordable Care Act cuts Medicare by $716 billion from 2013-2022. The Romney campaign reiterated its pledge to repeal Obamacare, and promised to “restore the funding to Medicare [and] ensure that no changes are made to the program for those 55 and older.” The Romney-Ryan plan is the only one that tackles the difficult issue head on looking to lower costs and increasing quality by evoking free market principles and given individuals a choice in their health care. 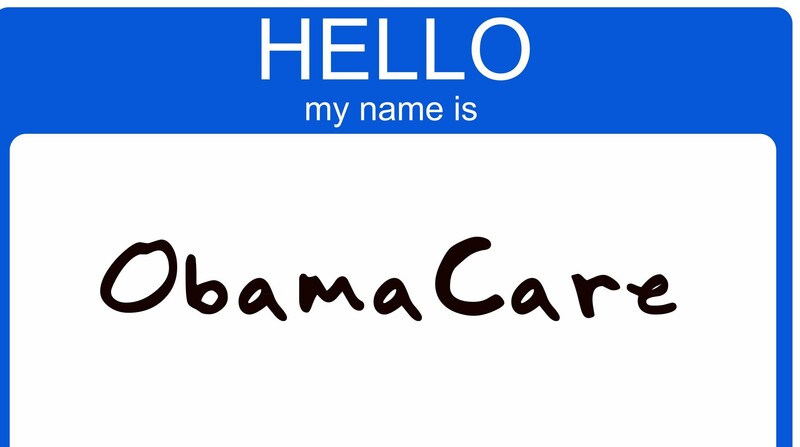 The Obamacare approach emphasizes government control and central planning. The law empowers what Sarah Palin referred to as a death panel, a collection of 15 unelected government officials, called the Independent Payment Advisory Board, to make changes to the Medicare program that will reduce Medicare spending. They will accomplish this by primarily deciding to pay doctors and hospitals less, as is done with the Medicaid program. Over time, only rationing will result, the panel determining what types of procedures and treatments that Medicare will and will not pay for. While America’s debt is spiraling out of control and we continue to run trillion-dollar deficits, this election is an important one and this is a pivotal issue. When you look at our entitlement problems, Medicare is well out in front. The Romney-Ryan plan for Medicare offers seniors premium support and competitive bidding. Seniors would enjoy exactly the same benefits that they do now, but along with the traditional Medicare program, they would enjoy the option of choosing among a selection of government-approved private insurance plans. 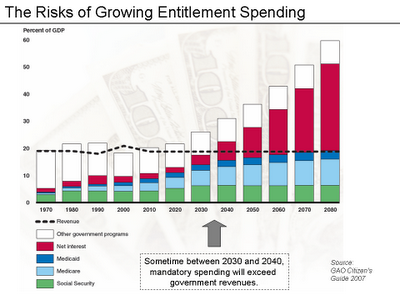 Projected entitlement spending will collapse the U.S.
Medicare will go bankrupt by 2024 if nothing is done about the problem. The choice is ours. 2012 will be whether we want the central government to decide what is in our best interest or if personal choices are still best determined by the individual.